The current draft of the proposed House Committee on Natural Resources rules package replaces all gender-specific pronouns with “their,” and substitutes committee “Chair” for “Chairman” in committee documents. 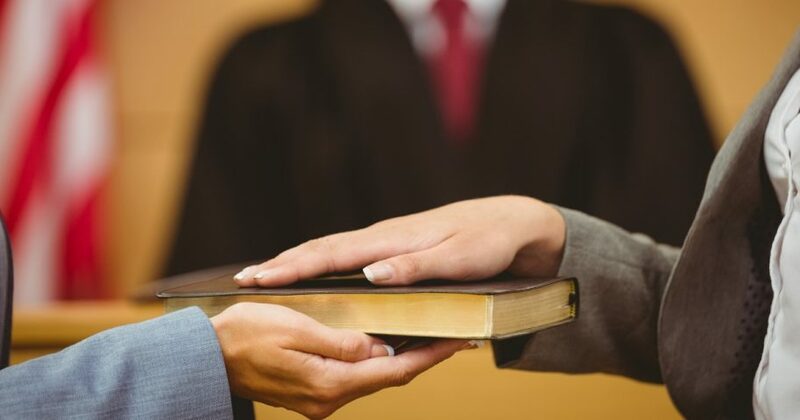 Do you think ‘so help you God’ should be kept in witnesses’ oaths? “It is incredible, but not surprising, that the Democrats would try to remove God from committee proceedings in one of their first acts in the majority,” House Republican Conference Chairwoman Liz Cheney of Wyoming told Fox News. Oddly enough, the proposal to remove references to God comes just two months after Democrats proposed to remove a 181-year-old restriction on wearing religious headgear on the House floor in order to accommodate newly elected Muslim women members.